Owner Operator Fleet - Self Dispatch – You Keep 85%. Advanced Trucking located in Indianapolis Indiana, is a full truckload Dry Van Carrier that services all 48 states. 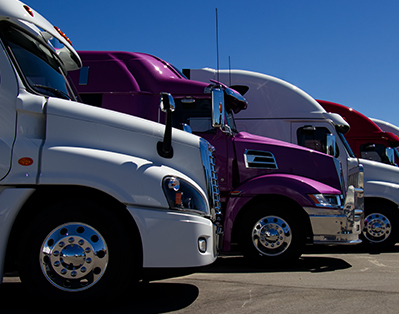 Our fleet consists of all owner operators. You as the drivers and owner operators control YOUR business. You run the lanes you choose and work with the brokers you have relationships with. We provide you with the tools to be a successful and safe owner operator. In 2016 the owners of Advanced Trucking recognized the need for more independence for owner operators. They recognized the demand for a trucking company that offers owner operators stability, freedom, and control of their own business. You own the truck, you decide when and where you want to go and what you want to haul. Never booked your own loads? We will guide you through the process, helping you choose what lanes you want to run. You book the loads, you set your rates – period.